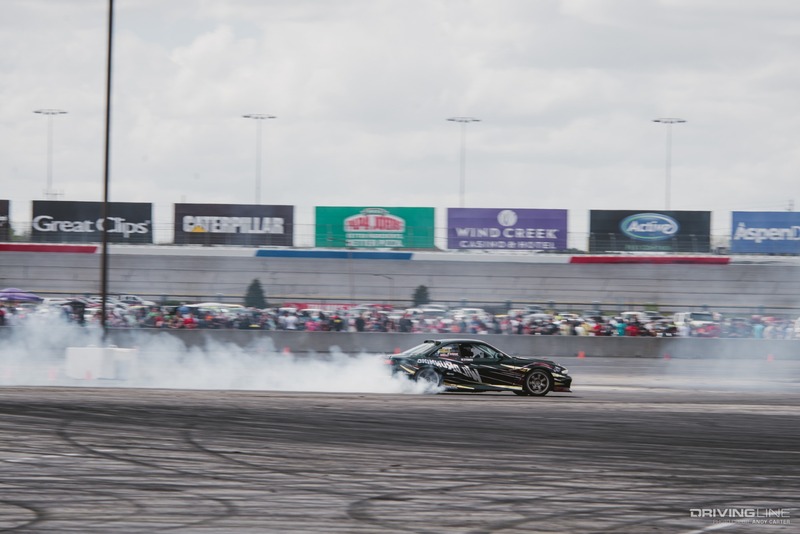 For those that haven't been to Import Alliance, it is hard to convey the scale of the event. 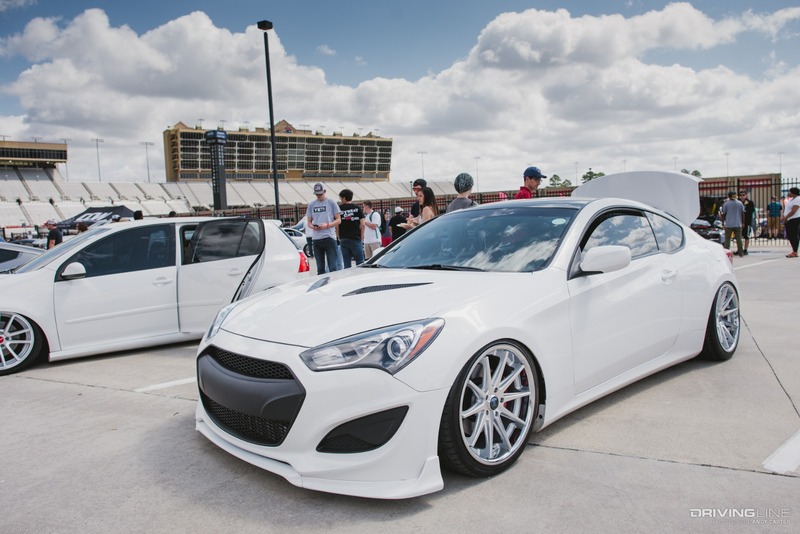 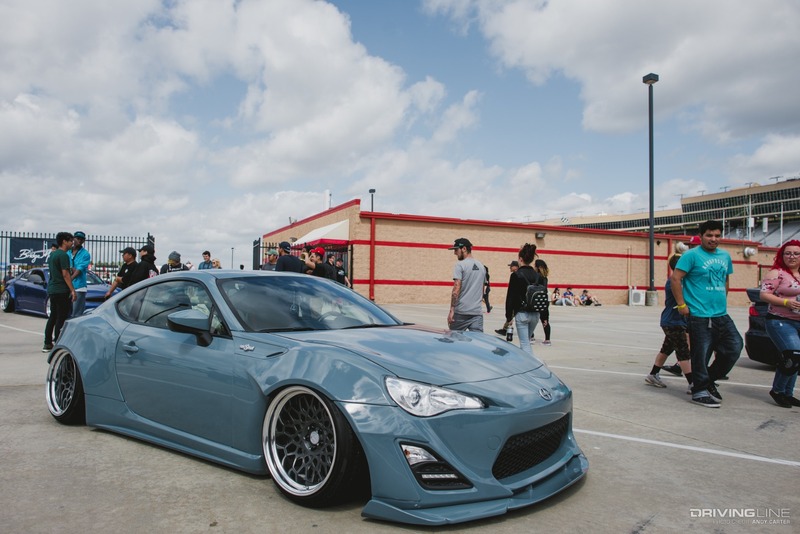 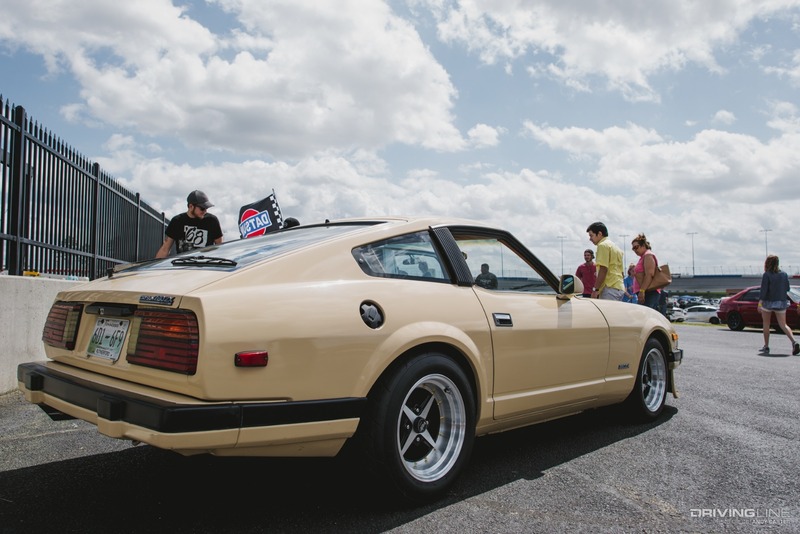 Billed as the largest all import car meet in the country, the spring show has historically been a precursor to the original summer dates, though gauging by this year's vast turnout, it is hard to believe that it is any less popular. 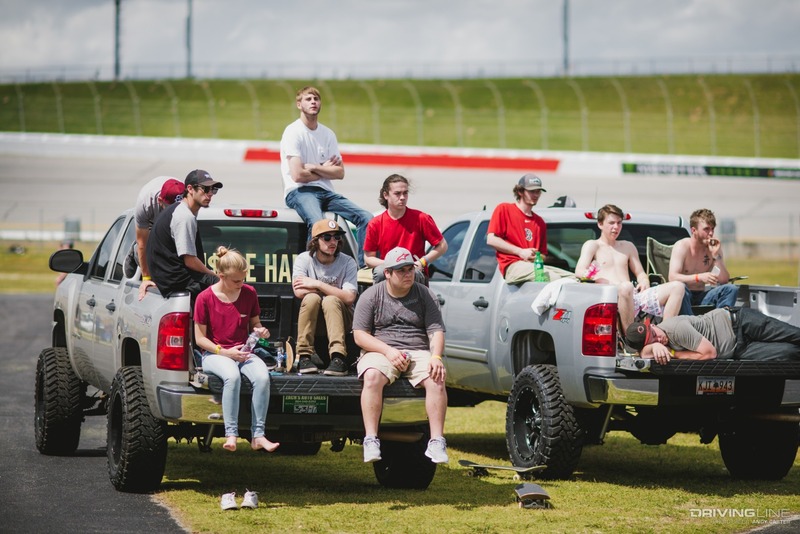 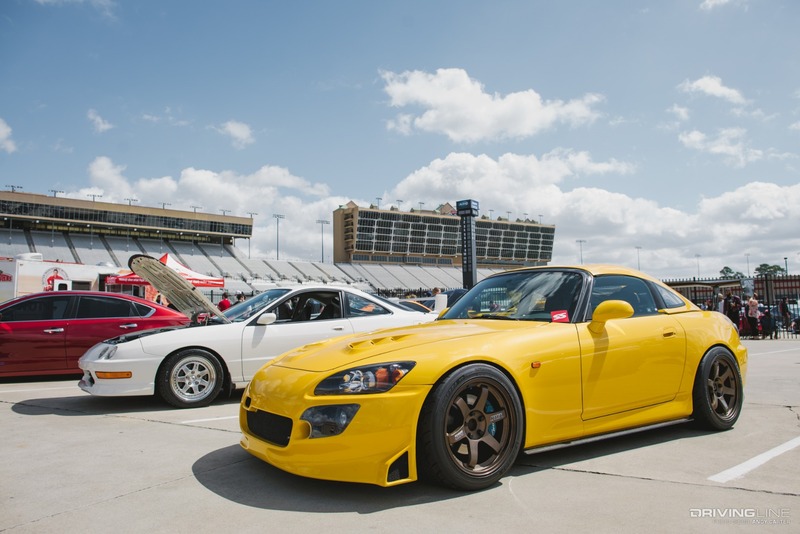 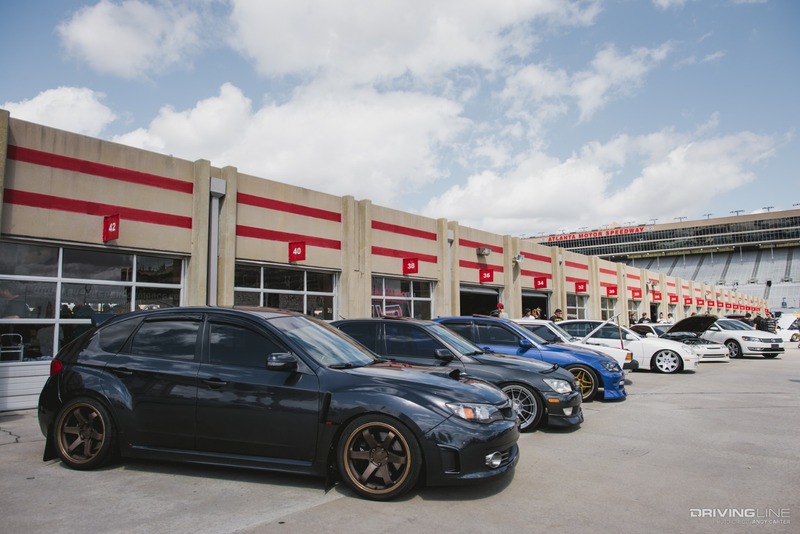 For the past several years, IA Spring has been held at the Atlanta Motor Speedway, one of the fastest stops on the Nashville circuit. 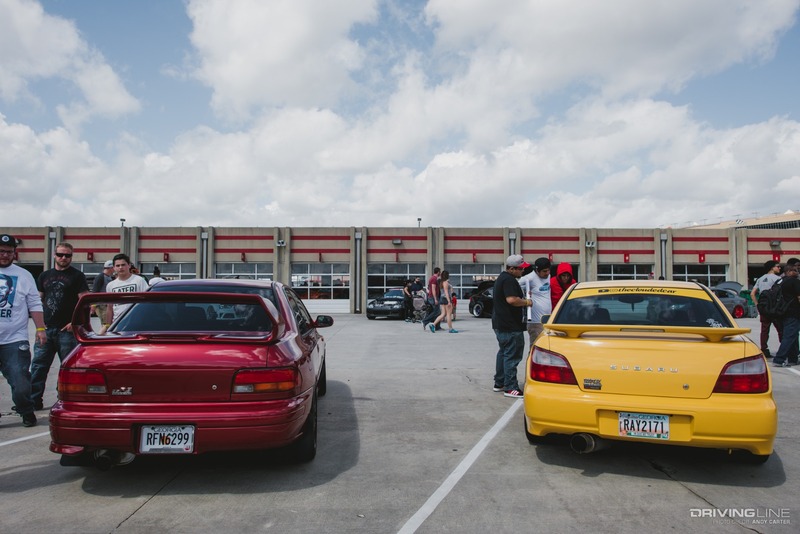 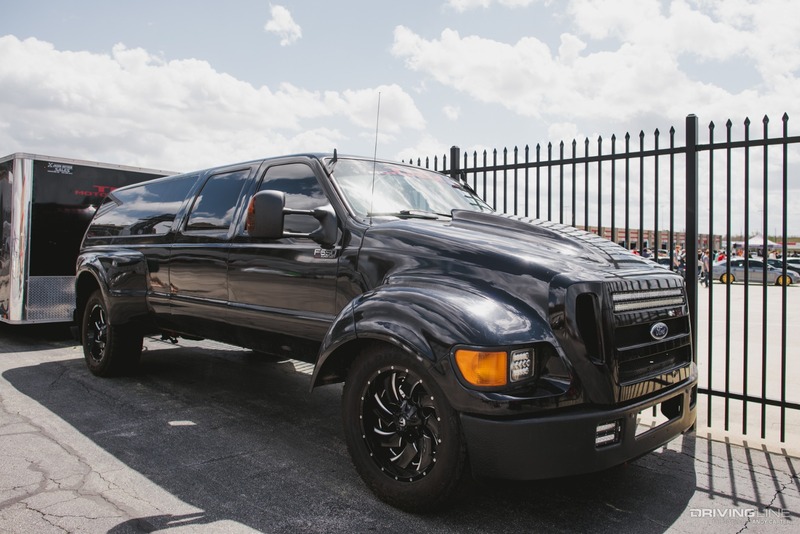 Attendees come out on both Saturday and Sunday, making the meet into a weekend trip, giving way to countless pre-meets, cruises and after-parties throughout the southern Atlanta metro area. 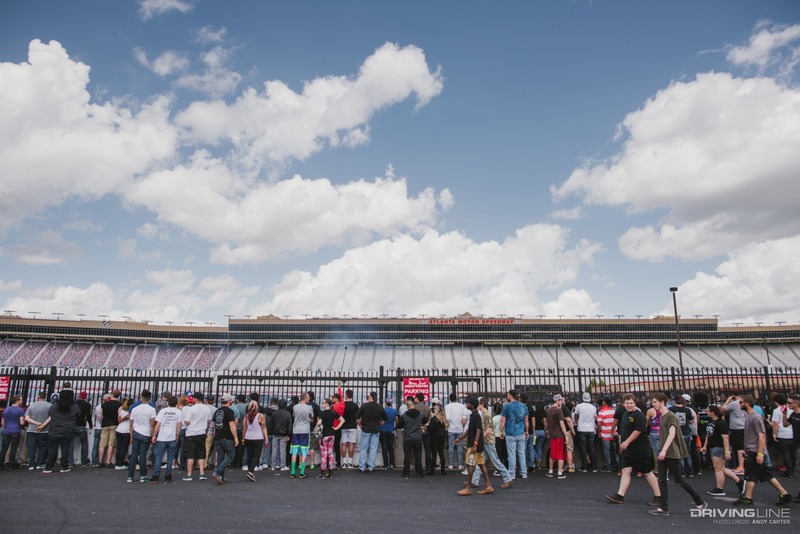 With a turnout of over 10,000 attendees, one can imagine that there's a rather diverse crowd in attendance. 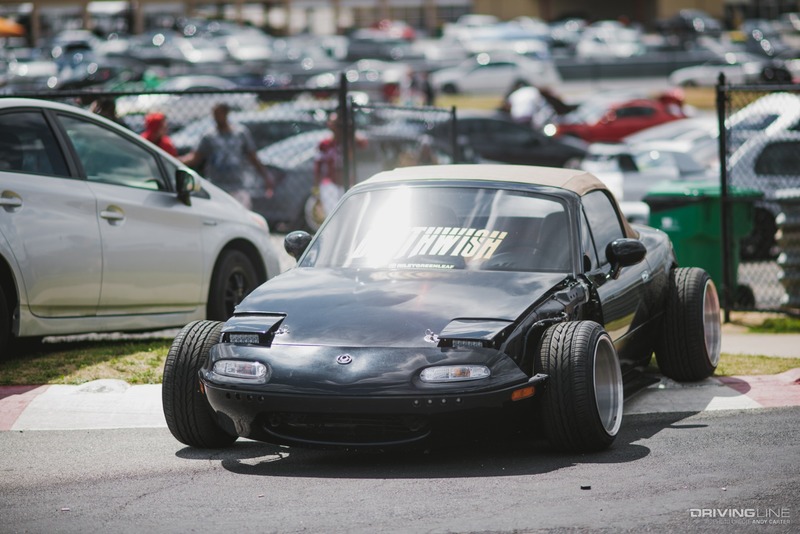 While the event is focused on imports only, no car is turned away. 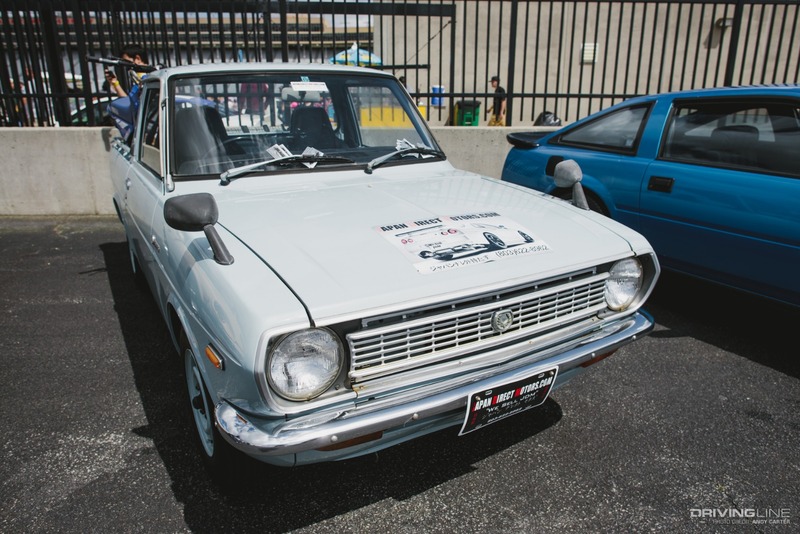 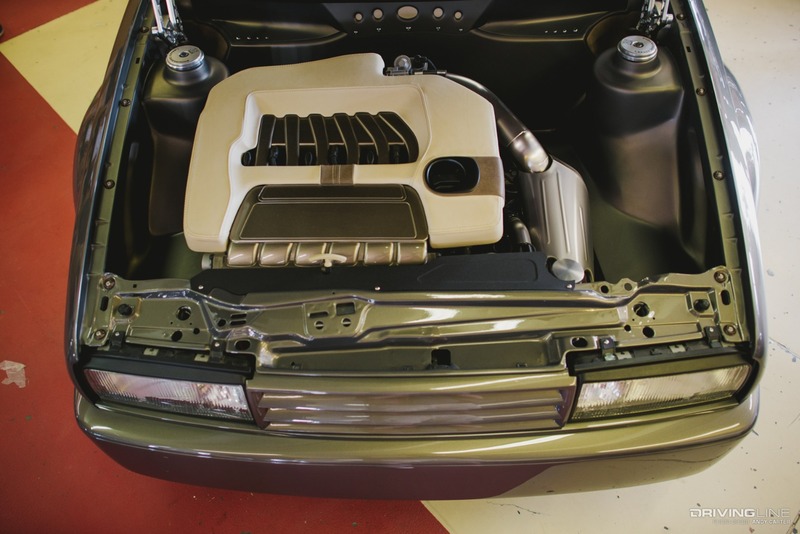 The founders insist that IA is meant to be a meeting of "grassroots car enthusiasts," so the cars vary from first attempts at car modding to vendor catalog cars. 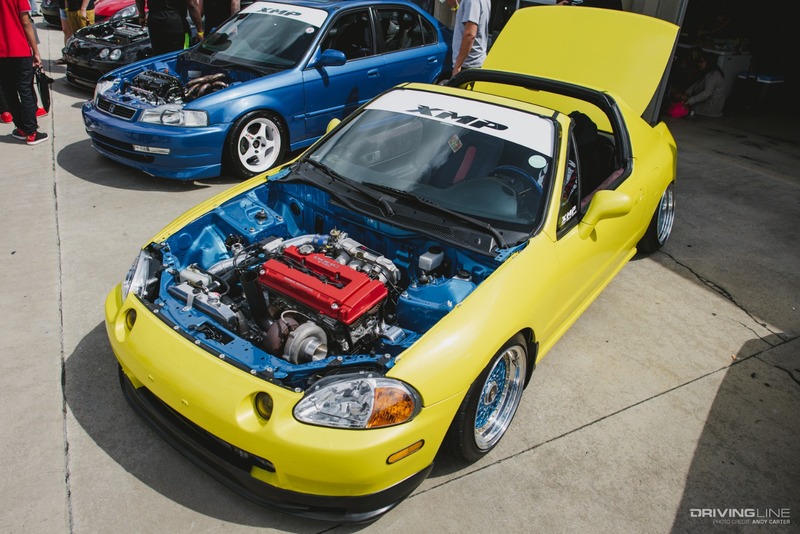 To help with organization, however, there is a curated "Showcase" section to corral more complete builds in the same area. 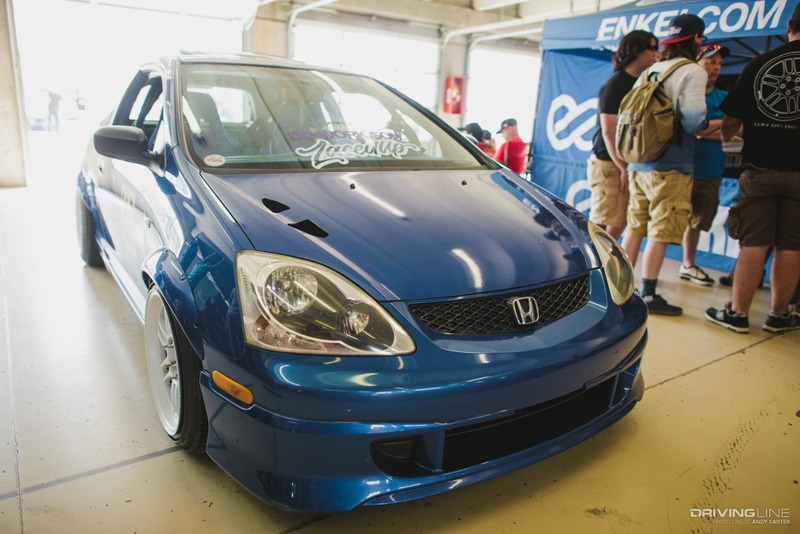 As diverse as the show is, Honda is still the inarguable king as far as quantity goes. 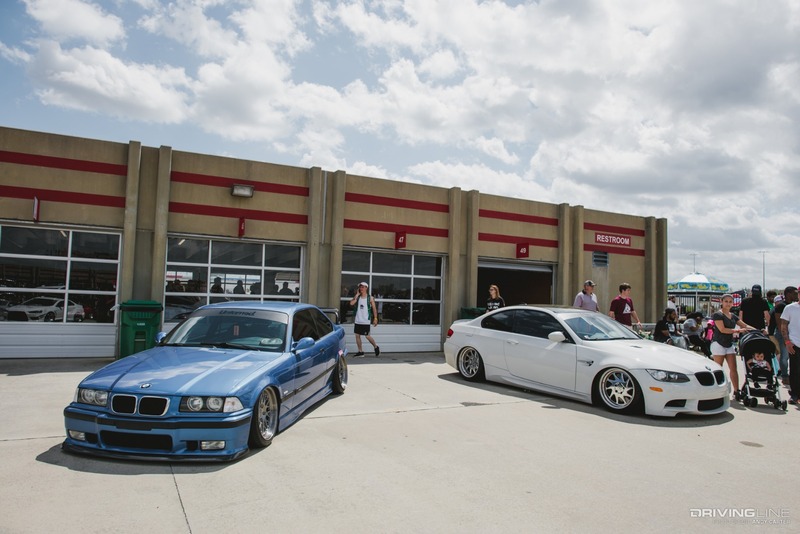 From Civics to NSXs, owners show up to IA sporting a variety of styles, from mild to wild. 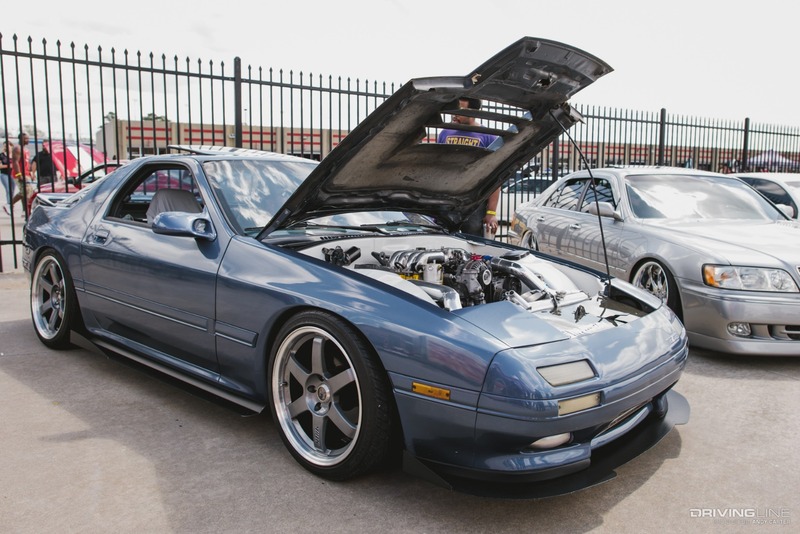 One standout of the Showcase section was this LS-swapped FD RX-7. 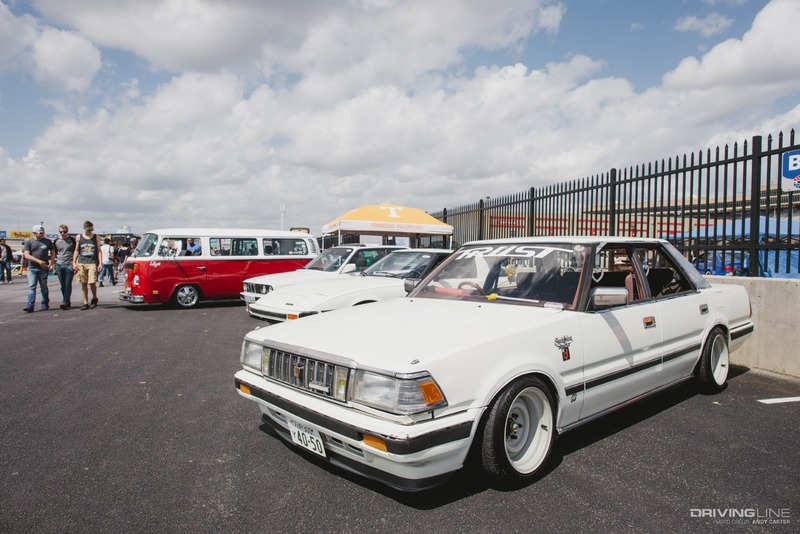 While calling a V8-powered Mazda understated might seem odd, the car's style was rather traditional compared to the slammed and stanced cars surrounding it. 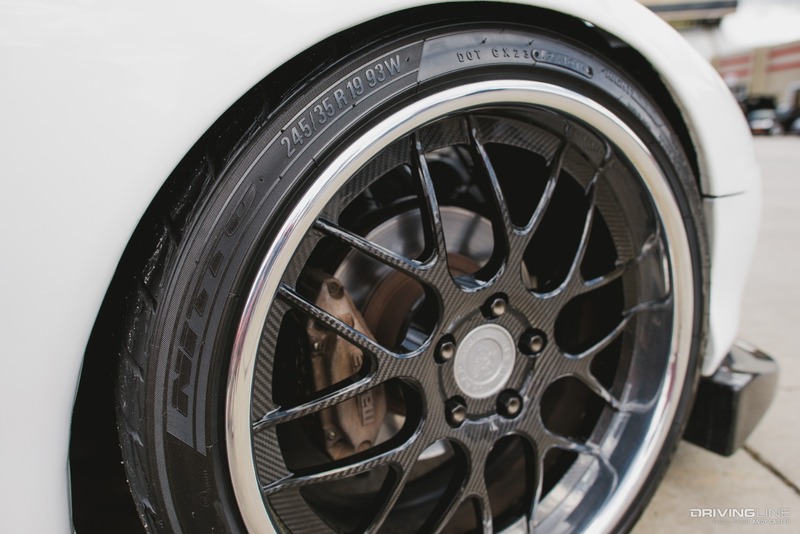 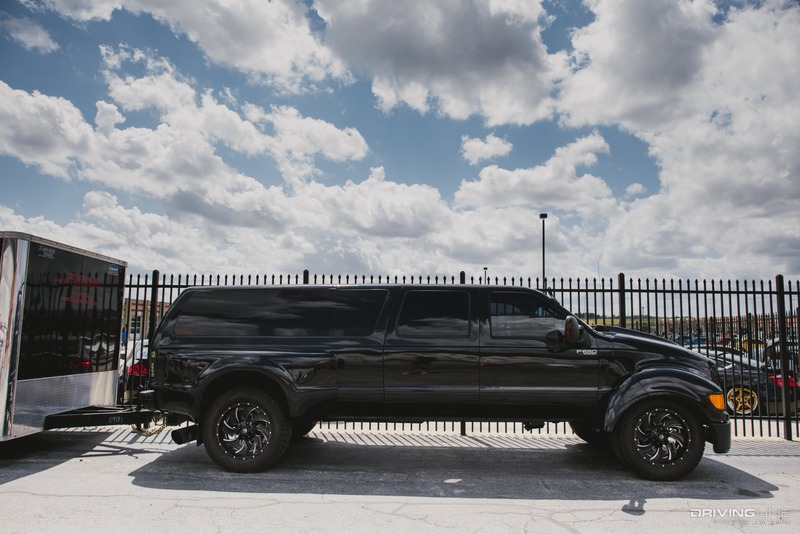 The 360 Forged wheels were covered in a carbon overlap and wrapped in aggressive Nitto Tires. 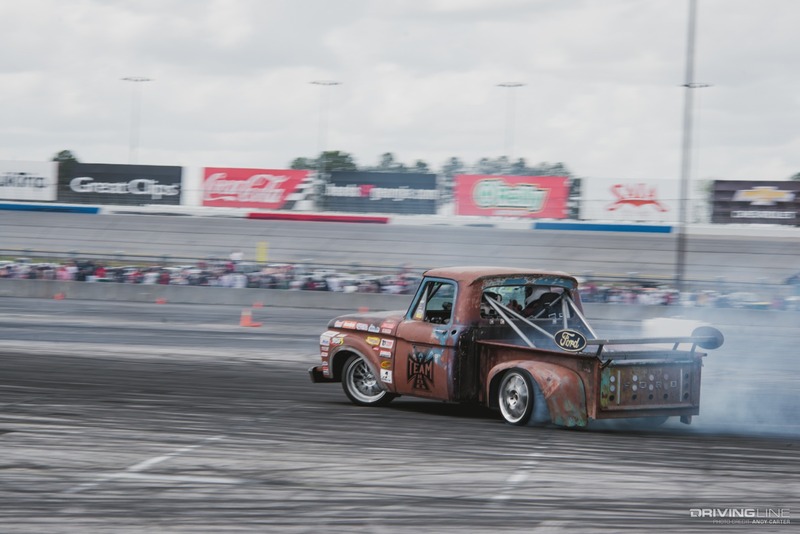 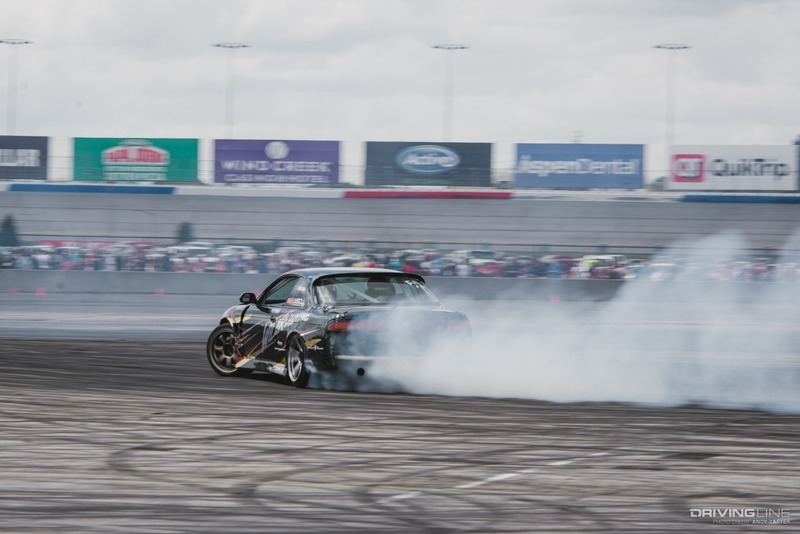 Another draw to the Atlanta event is a Drift-O-Rama that allows experienced and novice drifters alike to get in some valuable practice time. 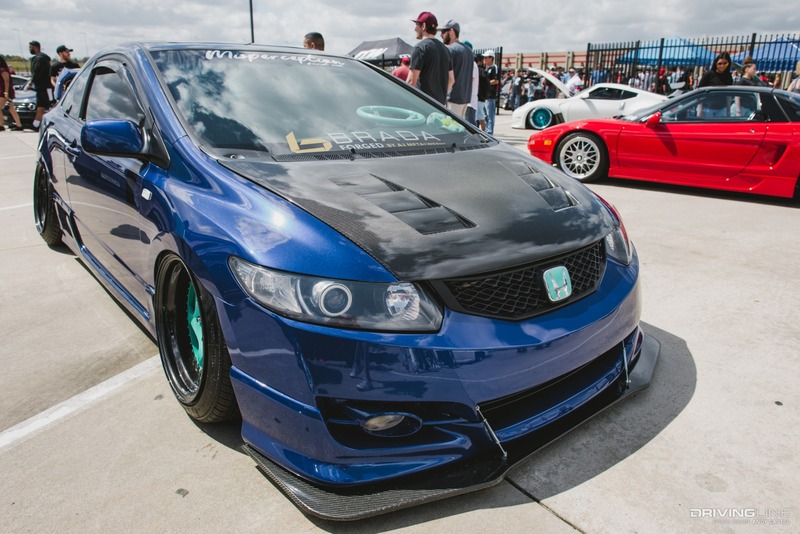 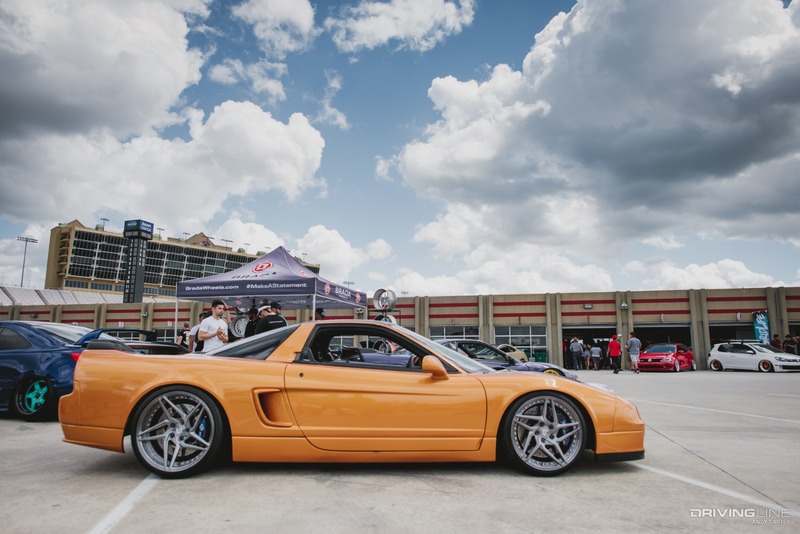 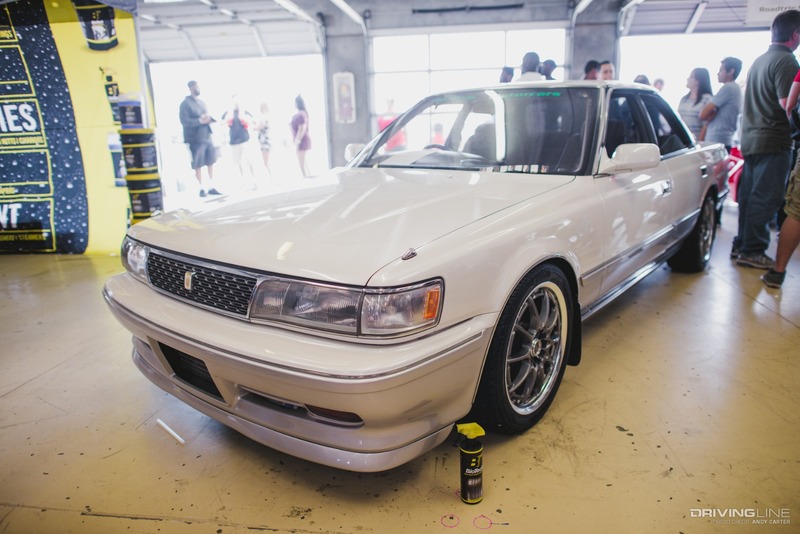 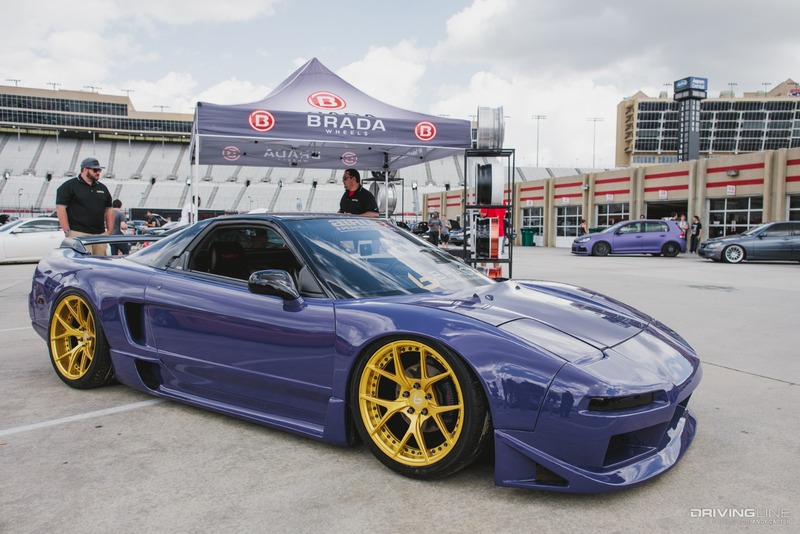 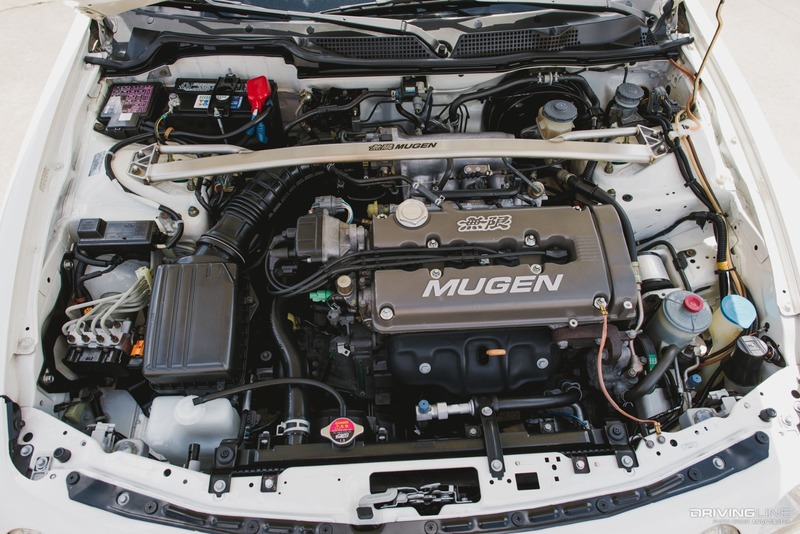 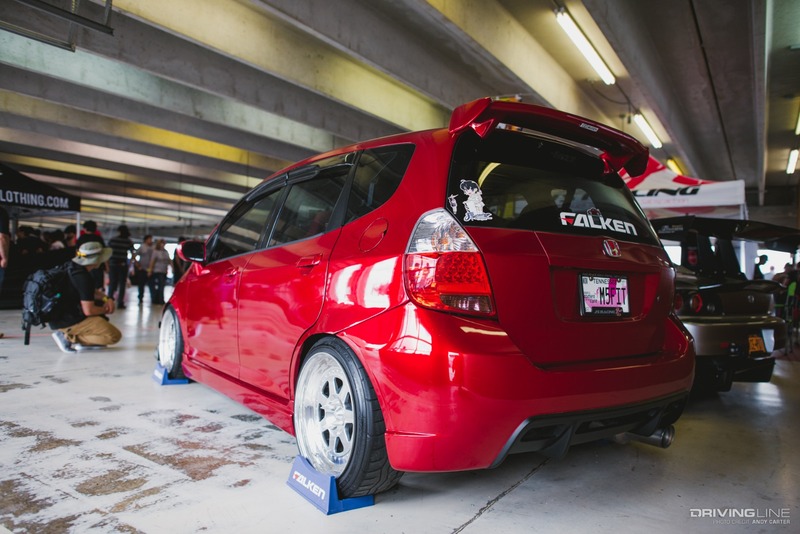 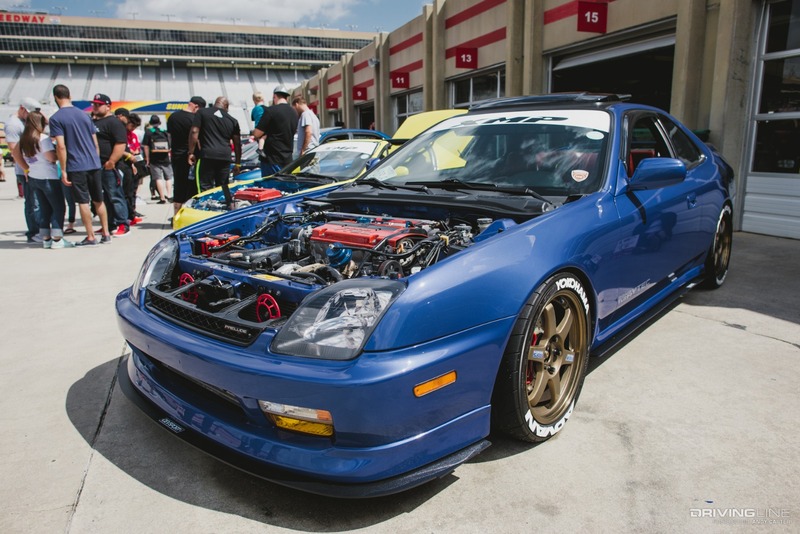 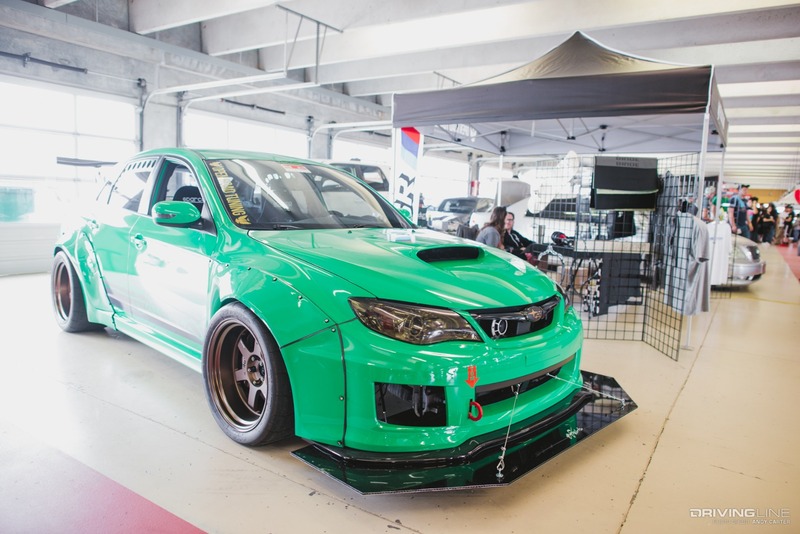 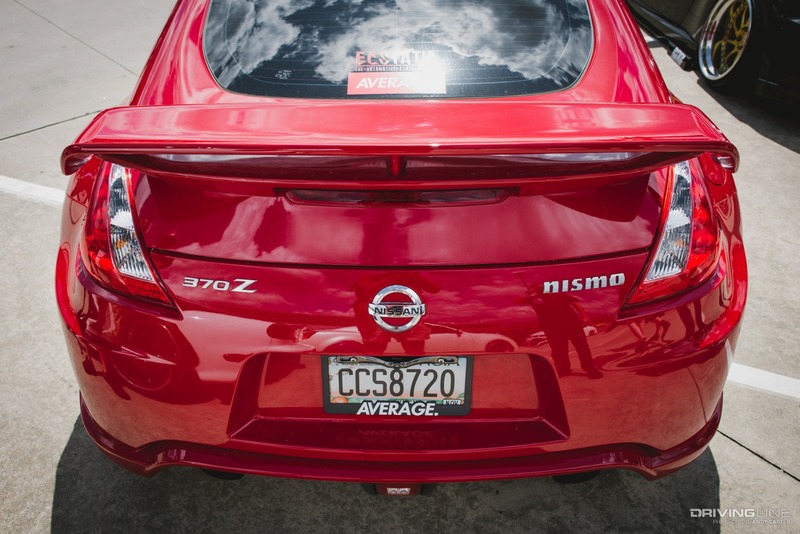 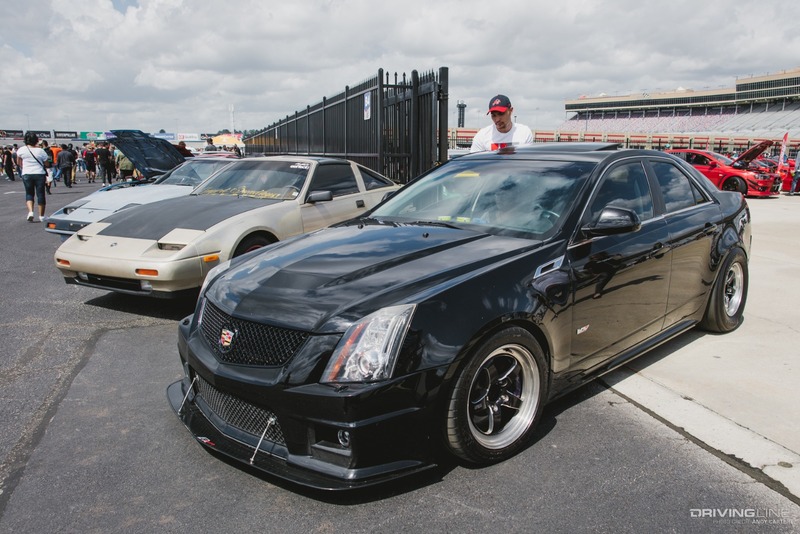 For more coverage of the Import Alliance Spring meet, browse the gallery below, and don't forget to check ImportAlliance.org for more great meets this year!